Here at Decadent Vapours – we have always given vapers the chance to purchase our e-liquids in 0% or nicotine free variants. You can choose from over 30 different nicotine free e-liquid flavours, ranging from comforting desserts, to powerful and revitalising menthols. It’s very common for vapers over the years to gradually drop their nicotine strengths; with the move to 0% or zero nicotine being a natural progression – while some switch to 0% the moment they make the switch from smoking. Many have likened the affects of normal nicotine levels in e-liquids to drinking a cup of coffee. However, some ex-smokers want to leave nicotine behind, while still enjoying great new flavours and that familiar hand-to-mouth action. If this is the preference you are steering towards, you’re in luck. All of our pre-mixed e-liquids, short fills, mixing kits and concentrates come with a nicotine free option or are completely nicotine free. Just make sure to select that magic ‘0%’ if a strength option is specified. 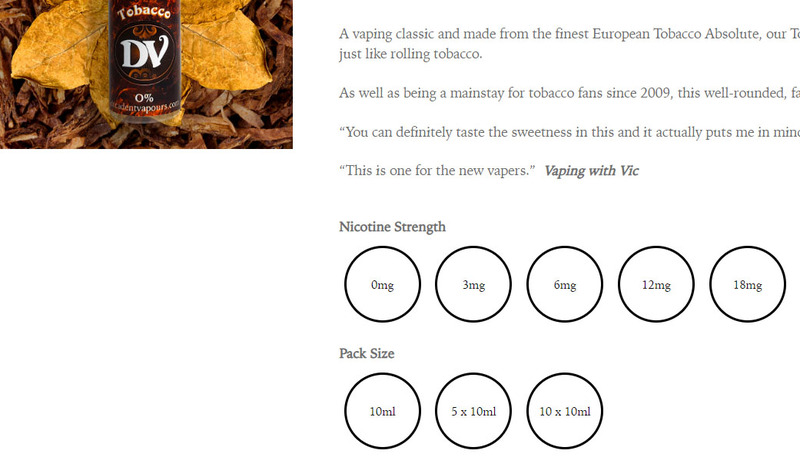 Simply head over to any one of our e-liquid or Shake & Vape products and select ‘0mg’ as your nicotine strength. 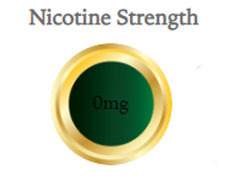 The 0mg option will then illuminate in green and you are all set to enjoy your e-liquid without nicotine.